I was thrilled last week when I heard that LA’s Cultural Heritage Commission voted unanimously in favor of designating the N.F. Stokes Residence a historic cultural monument. 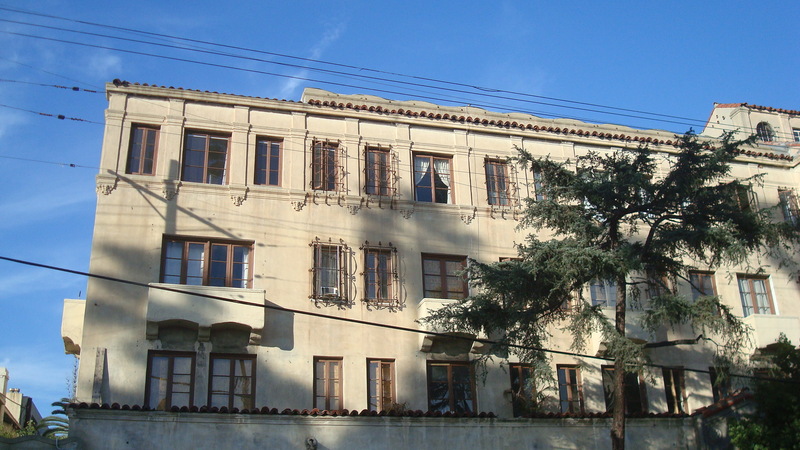 The building, at 1905 Grace, dates back to 1917 and is one of the few structures from that era still standing in the Hollywood area. 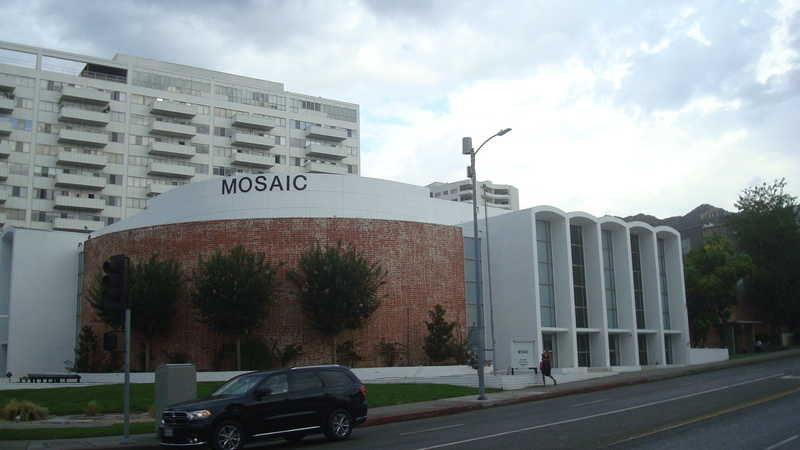 At the same meeting the CHC voted to consider the Mosaic Church, at Hollywood and La Brea, for designation as well. There were a number of people in the community who have worked long and hard to save these buildings, and reading the e-mails from those involved it seemed like everyone was breathing a collective sigh of relief. I don’t want to rain on anyone’s parade, but we have to remember that the Stokes house won’t actually be declared a monument until the City Council votes on it. That’s when it becomes official. 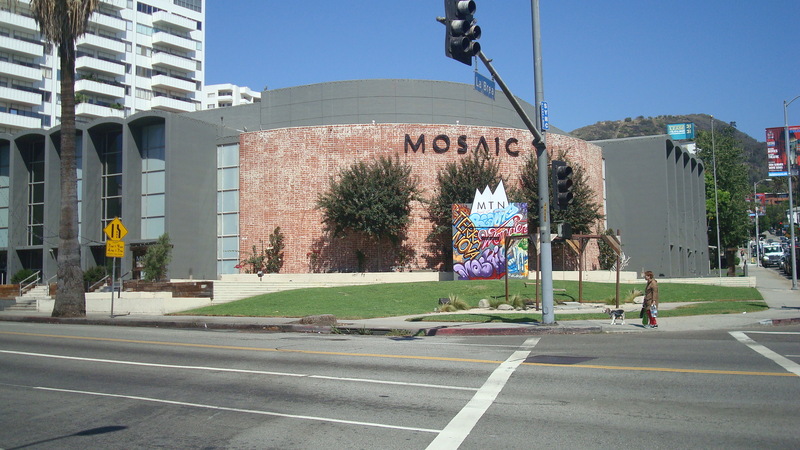 And as for the Mosaic Church, I was at a meeting last week where a developer’s representative flatly declared that the building did not deserve monument status. Now, you might be thinking, Hey, the CHC vote was unanimous. They clearly believe that both buildings are worth saving! How could the City Council ignore their recommendation? Better think again. 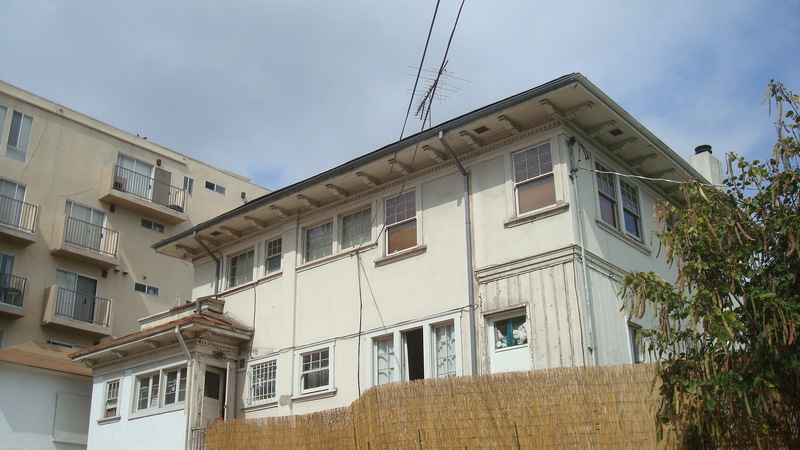 Not too long ago Mayor Garcetti pushed for the demolition of the Oswald Bartlett House over the loud objections of the preservation community, and he got his way. That house is gone. Over the past few months the Mayor has overridden the City Planning Commission to revive two major developments that faced strong opposition from the neighboring communities. There are no guarantees here. Recent history has shown that the Mayor and the City Council will do what they want. Which is often exactly what the developers want. So we need to keep the pressure on. If you live in Council District 4, where the Stokes Residence and the Mosaic Church are both located, you might want to contact newly elected Councilmember David Ryu. His support will be crucial. Here’s his info. And if you don’t live in CD 4, you can still contact your councilmember and let them know you think these buildings are worth saving. Things change, and sometimes change is hard to accept. Part of the reason I spent years keeping a journal on Hollywood was to record the transformations that were taking place. One of the biggest upheavals was in the way films were exhibited. Hollywood is home to a handful of movie palaces, all of them built over the course of a decade starting in the early twenties. Up through the eighties, those palaces were still playing first run movies, and on opening weekend you might see lines going down the block. But in the eighties multi-plexes started springing up, and the huge Hollywood theatres couldn’t compete. They either had to change or die. 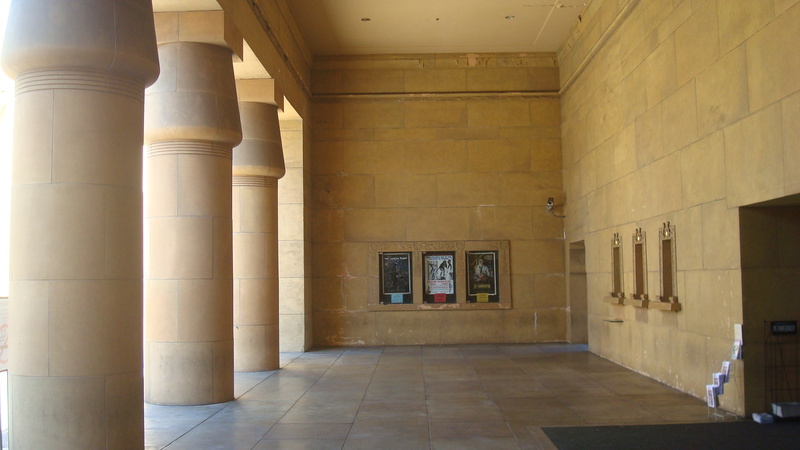 The Egyptian Theatre was shuttered in 1992. I was really upset. I’d seen so many movies there, including 2001, Alien and Point Break. When it suffered major damage in the 1994 Northridge quake, I was sure the next step was demolition. 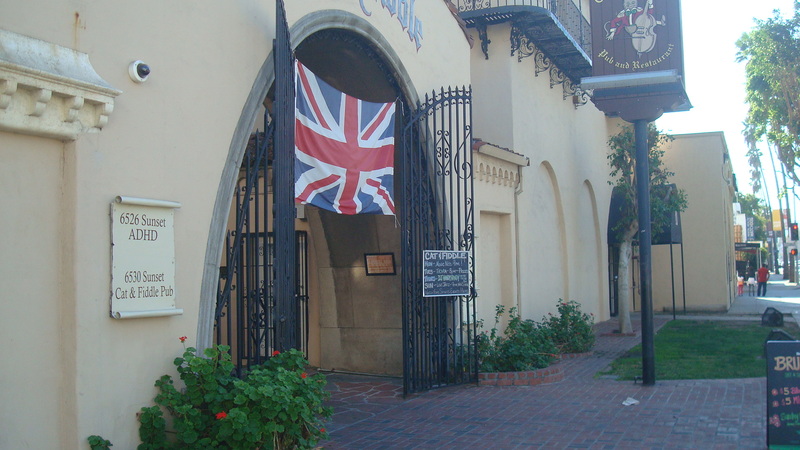 So I was overjoyed when I heard the American Cinematheque had bought the building and was going to renovate it. Overjoyed, that is, until the theatre reopened and I saw the results. The auditorium was less than half its original size and the screen was significantly smaller. Plus, there were a number of minor changes that bugged me. I wrote it all down in the journal entry below. I was ticked off. On the plus side, though, the Cinematheque was on Hollywood Boulevard and they were showing some great stuff. I eventually signed on as a volunteer, and ended up giving tours of the theatre, which made me look at the changes in a whole new light. In the first place, there was no way the Cinematheque could run the Egyptian as a 2,000 seat house. It just wasn’t possible to fill an auditorium that big on a regular basis. They had to find a way to solve that problem, and the solution was building two smaller theatres inside the original structure. Second, the theatre I remembered was very different from the theatre Sid Grauman had built in nineteen twenty two. He created a silent movie palace. As soon as sound came in, the theatre had to start adapting to stay viable, and numerous changes had been made over the years. 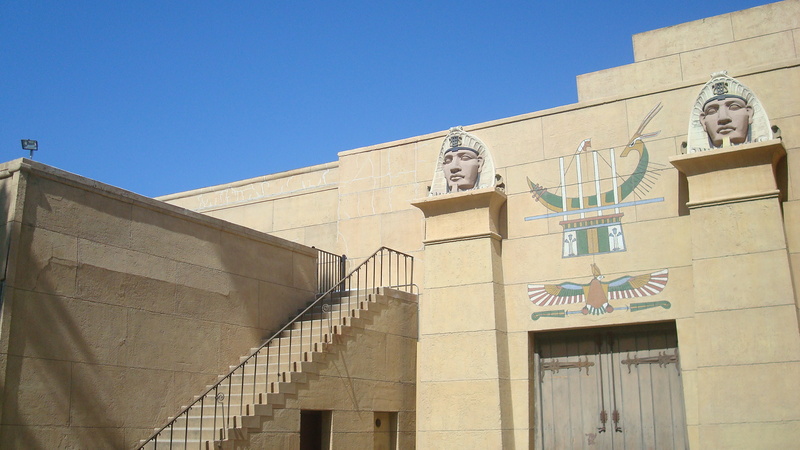 In the process of renovating the Egyptian, the Cinematheque actually revealed parts of the original structure that had been concealed for decades. Third, the process of renovating a historic building is incredibly complex and costly. The Cinematheque had to follow the City’s code for historic preservation and find the money to pay for everything. They were lucky to connect with a couple of very talented architects, Craig Hodgetts and Ming Fung. The team came up with a number of innovative and elegant solutions to some difficult problems. I love seeing movies at the Egyptian these days. If the screen isn’t quite as big as it used to be, it’s still one of the largest you’ll find in LA. And the sound is way better than it was when the Egyptian was operating as a commercial movie theatre. So while the journal entry below shows my initial disappointment, as the politicians say, my views have evolved. When the theatre first reopened, I wanted it to be the way I remembered it in years past. That wasn’t possible. Things change. 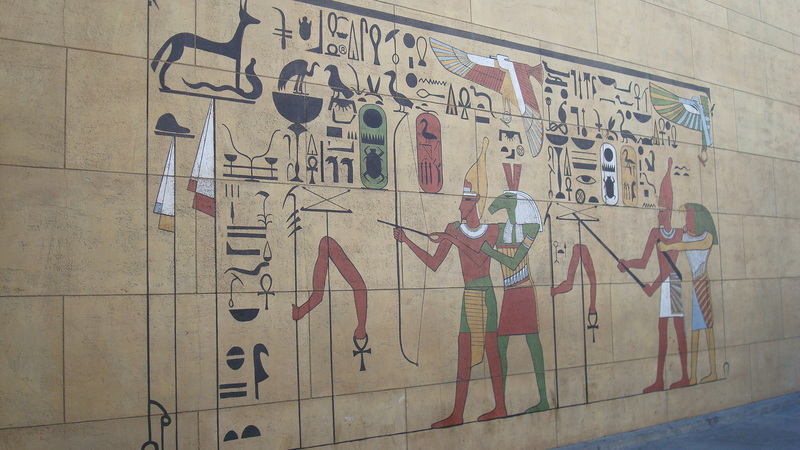 Here’s a link to a page on the American Cinematheque web site that shows images of the Egyptian over the years. And here’s a link to the Hodgetts and Fung web site that shows images of their renovation/restoration. Well, last night I finally made it over to the American Cinematheque. And I’ve gotta say I’m pretty disappointed with what they’ve done to the Egyptian. I mean, if you just want to look at it as a modern, mid-sized theatre it’s fine. But, aside from preserving some of the decorative elements, it has nothing to do with what the Egyptian was. It seems like the auditorium is about half its original size. The screen is considerably smaller. The seats are cozy but narrow, and there’s very little leg room. I was more comfortable the other night at the Beverly. Why do they have that sign up that says it’s Grauman’s Egyptian? It’s not. Did any of the people involved seriously think they were restoring or renovating the original theatre? All they’ve done is build a mid-sized auditorium inside the shell of a movie palace. They’ve completely changed the interior and the exterior of the building. The experience of going to this new Egyptian Theatre is totally different, and it’s certainly not a change for the better. Now that I’ve got that out of my system, I also have to say I’m really glad to have the American Cinematheque on Hollywood Boulevard. I’m pretty impressed by their programming so far. It seems like they really want to offer all kinds of films. In spite of what they’ve done to the Egyptian, I look forward to going back. Last night we saw Cruising, and Friedkin was there to talk about it. I really liked the film. It was interesting to hear the director’s comments, too. A view of 1905 Grace from Grace Ave..
You might also want to take the time to read the comment at the end of this post from John Girodo of Hollywood Heritage. He gives more information about what’s happening. Thursday night I heard some disturbing news. 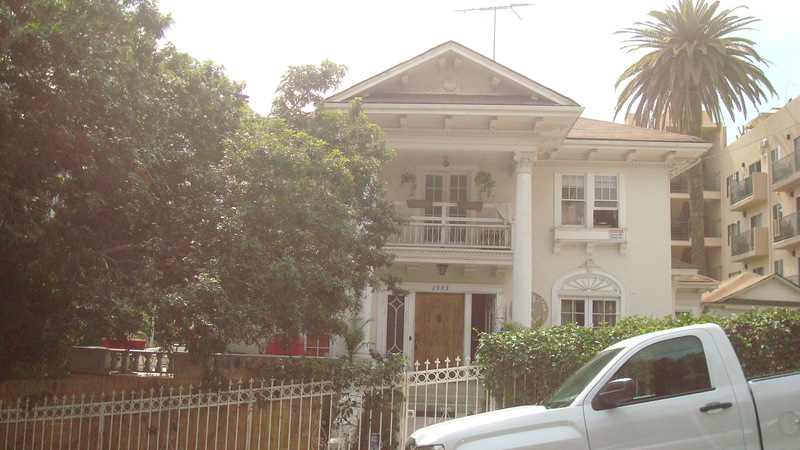 An American Colonial mansion that was built in 1917, located at the corner of Grace and Franklin in Hollywood, is slated for demolition. A developer wants to knock the building down, probably with the intention of constructing high-end residential units. 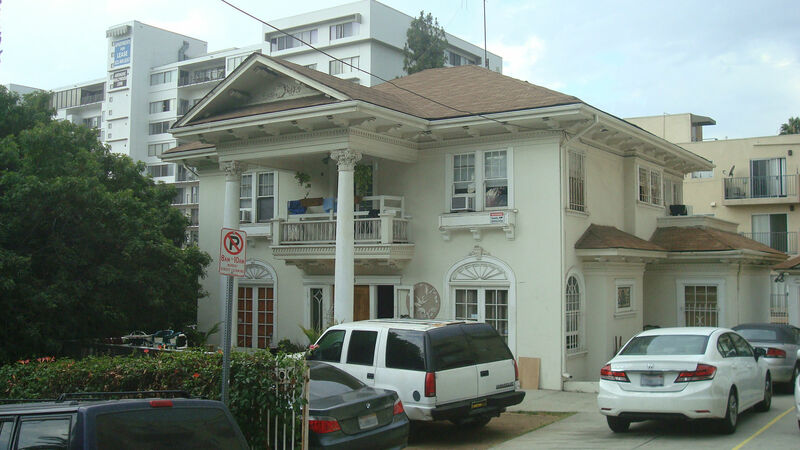 Hollywood Heritage is trying to have the mansion nominated as a historic monument, but things don’t look good. The Office of Historic Resources will be holding a hearing to consider the nomination, but it’s on such short notice that it will be hard to rally the community. The meeting is scheduled for Tuesday, May 12. The last I heard, the time hasn’t been set. It seems like the City is trying to rush this through, which doesn’t surprise me given their recent record. 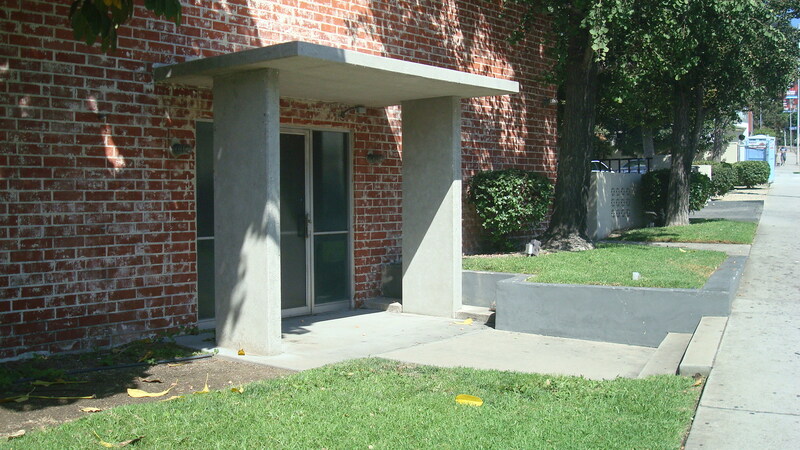 In just the last year the City has allowed developers to level the Mole-Richardson Building on La Brea and the Oswald Bartlett House in Los Feliz. Those are just the two most recent casualties of the current wave of development. Can anybody stop this? I don’t know. It would be great to have a good turnout at the meeting on Tuesday. Hollywood Heritage says people must show up in person to express their views, but it’s hard to plan on attending when the time hasn’t even been set. Hopefully the OHR will nail that down pretty soon. It also might be helpful to find out what CD 4 candidates Carolyn Ramsay and David Ryu have to say about this. They’ve both said they want to preserve Hollywood’s history. Let’s find out if they really mean it. If you can’t make it to the meeting on Tuesday, you might still let the OHR know how you feel about this. The link is below. A view of 1905 Grace from Franklin Ave.. I was saddened, but not really surprised, to hear that the Villa Carlotta had been bought by a developer that wanted to turn it into an extended stay hotel. This kind of thing is going on all over Hollywood these days. Developers and real estate interests with tons of cash buying up older buildings, kicking out the tenants, and reinventing the place as a playground for the upscale crowd. 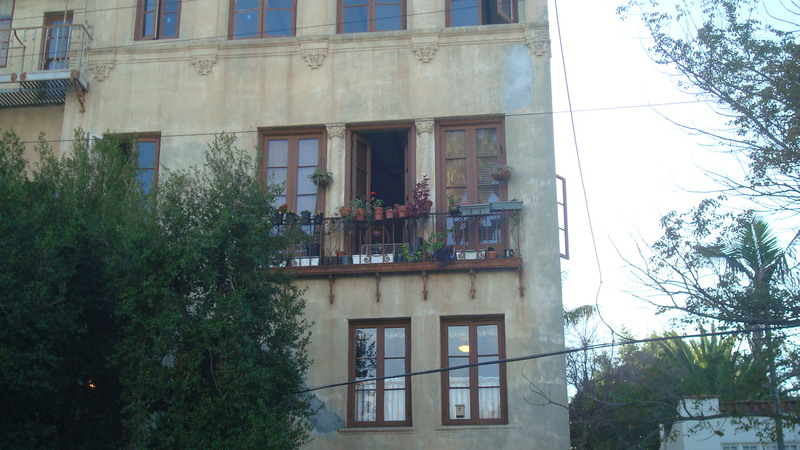 It’s especially sad with the Villa Carlotta, though, because of the community that had grown inside those walls. Take a look at this article from Vanity Fair, written by a tenant, to get a sense of what’s being lost as these people are forced out by the owner. Here’s another article from the LA Times. There are larger issues, too. Not only are these people losing their homes, but they’ll have a hard time finding anything else that they can afford. Rents are going up all over LA. Owners of older apartments are jacking up rents, and units in many of the new buildings start at around $2,000 a month. 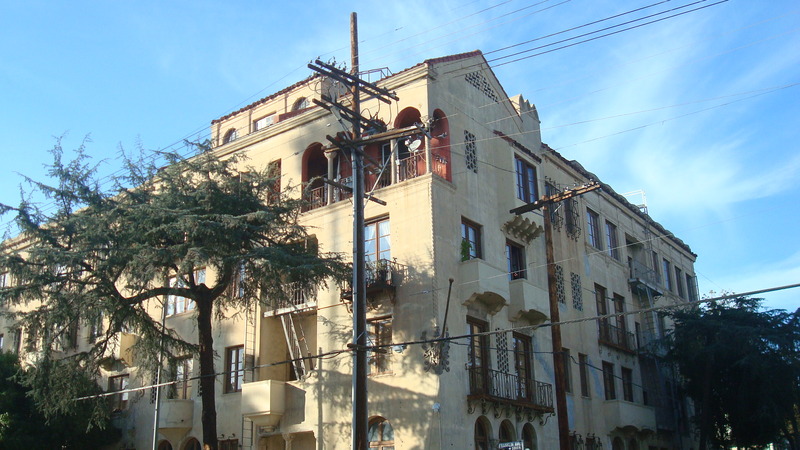 It’s well known that LA is in an affordable housing crisis, and taking the 50 units in the Villa Carlotta off the market is just one more turn of the screw. Hopefully SB 2222 will put a stop to this. It was recently signed into law by Governor Brown, and requires that developers who acquire a rent-controlled property maintain the same number of affordable units regardless of what they plan to do with the property. But LA has lost thousands of affordable units in recent years. The new law may be too little too late. In The Times piece the writer describes the meeting the developer had with the tenants to let them know they were being evicted. The way they were spinning it was that the tenants should be glad, because the developer was going to spend a lot of money refurbishing the building. This just shows how clueless they are. These people aren’t just losing their home, they’re losing a place where they made friends and partied, a place where they shared food, stories, art and music. For these people it wasn’t just a place to live, it was a community. 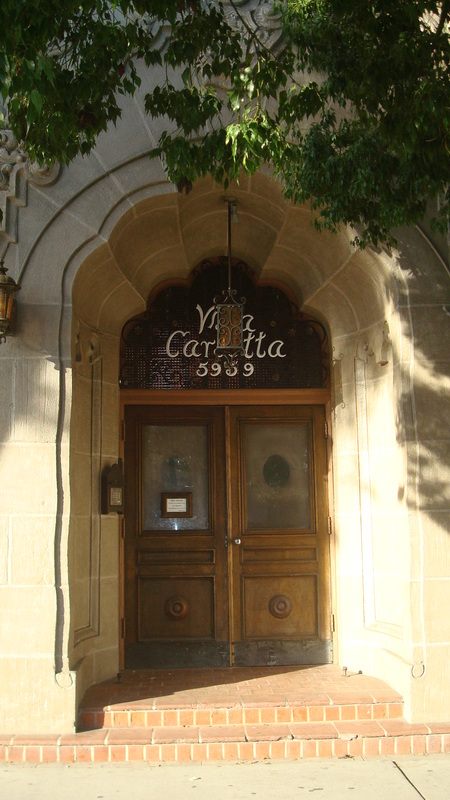 The Villa Carlotta is a lovely relic of old Hollywood, but even more special than the building are the people who lived there. Of course, the new owners don’t care about the people. All they care about is money. It’s so strange how you can pass by something a million times, and not really even notice it. Until it’s in danger of disappearing. 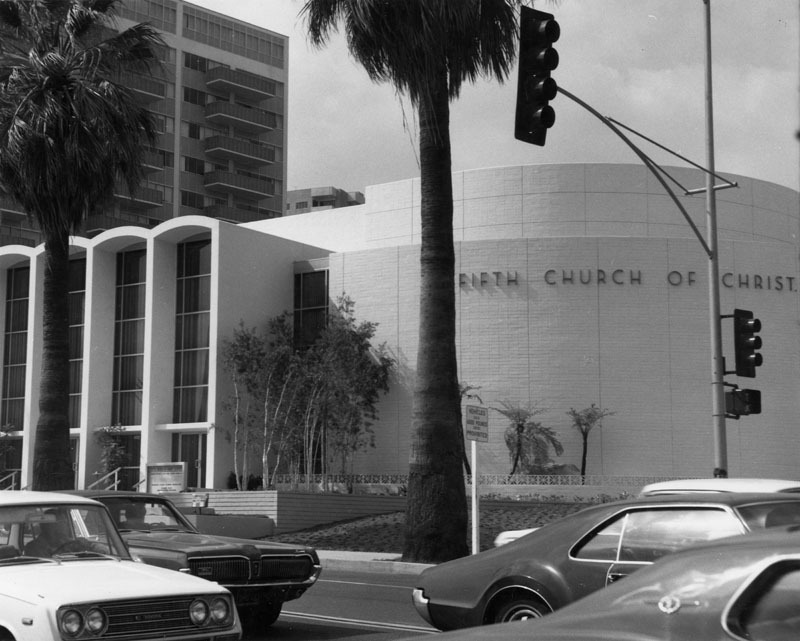 The Fifth Church of Christ, Scientist, at the corner of Hollywood and La Brea, was built just after I was born. I’ve been driving by it or walking by it all my life. I remember thinking that it was kind of an unusual building, but I never stopped to take to take a closer look. It was always just part of the landscape. So recently I did take a closer look, and I started to realize what a beautiful building it was. The site is no longer home to a Christian Science congregation. 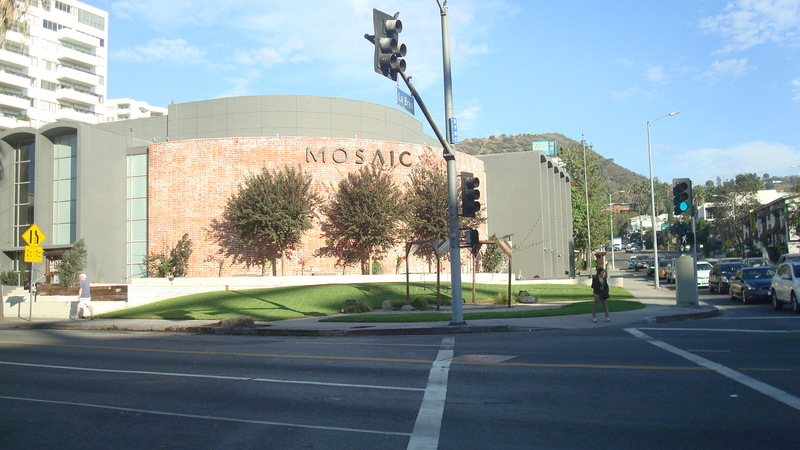 For the last few years it has housed Mosaic, a non-denominational Christian church. The current congregation recently renovated the building, and I’ll talk more about that later. Actually, the first version of the church was built back in 1915, according to the Pacific Coast Architecture Database. Back then Christian Science was a growing denomination, and the original design stuck to a pretty traditional classical revival style. But in the 1950s the congregation must have decided they needed a different look, and they hired an architect named Howard G. Elwell. Very little is known about Elwell. One source I found said that he was active in the LA area as early as 1916. I’ve searched the net, but there’s not much documentation of his work. 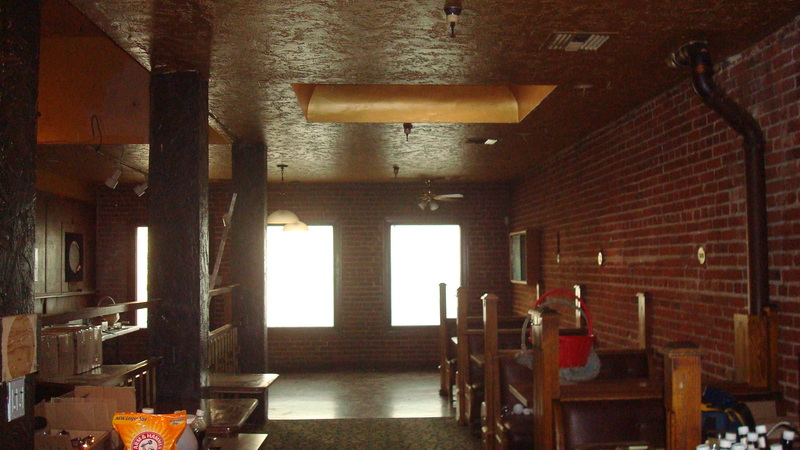 I found a few photos of a movie theatre in Victorville. I found some images of a doctor’s office he may have designed, but the site is unknown. Apparently he also worked on some houses in Pasadena and San Marino. But the guy definitely had talent. 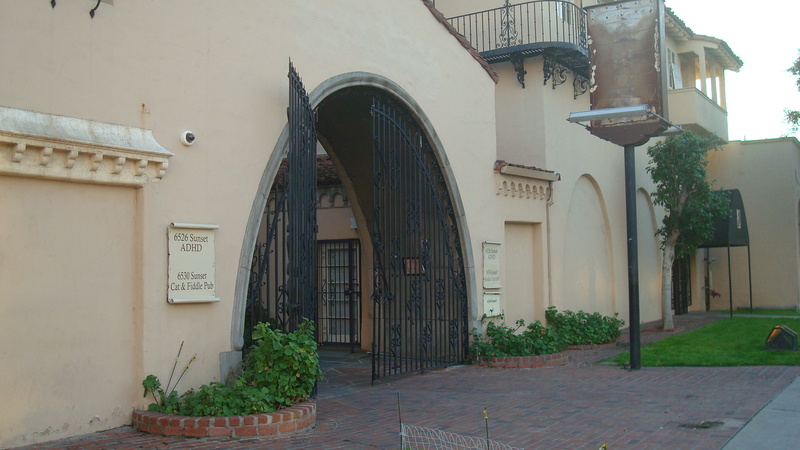 A walk around the church at Hollywood and La Brea shows that it was created by someone fluent in the modern style. 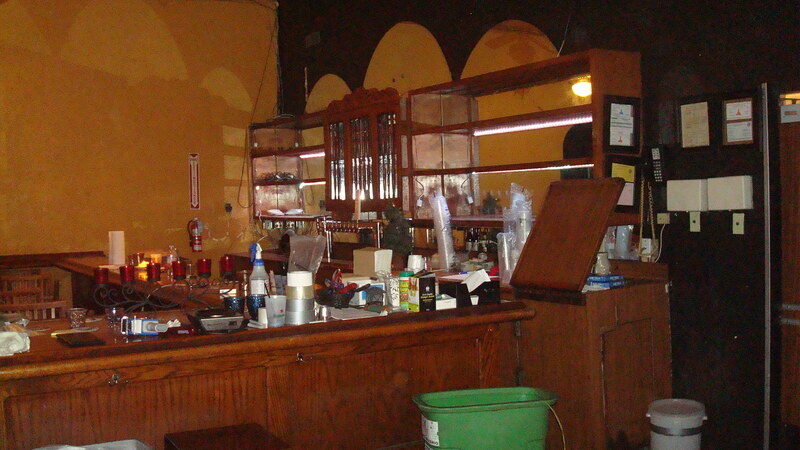 Here are a couple photos of the building as it originally appeared. It’s too bad they’re in black and white, because the color scheme was one of the unique aspects of the design. If I remember correctly, the curved section at the corner was clad in lavender tile, and the arched windows were painted a similar pastel shade. The effect was subtle and unobtrusive, which is maybe part of the reason it didn’t attract my attention. Here’s how the church looks today. 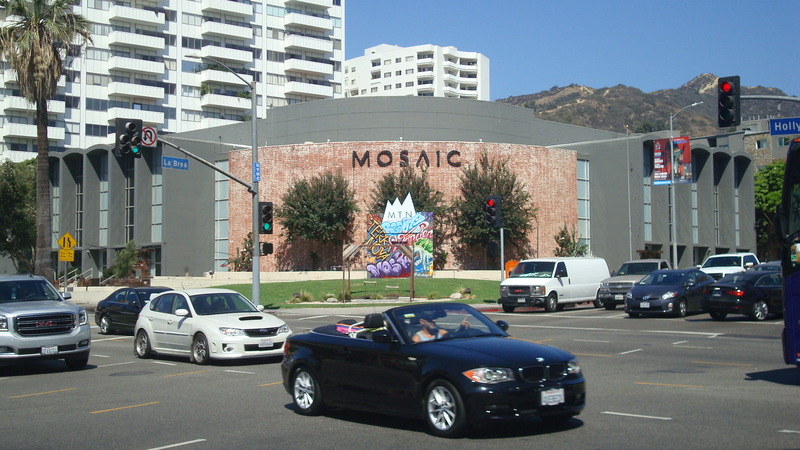 Mosaic, Hollywood seen from Hollywood Blvd. The Mosaic congregation did a nice job of renovating the building. They didn’t touch the structure, but they completely rethought the textures and colors. Removing the tile cladding to reveal the brickwork gives the corner of the church a rustic look, and painting the arched windows grey creates a nice contrast. The building definitely has more of a presence than it did before. a view of the church from La Brea Ave.
another view of the church from La Brea Ave. But the structure still retains Elwell’s design, which is a unique and interesting adaptation of the modern style. The building has the dignity appropriate to a church, but without the rhetorical flourishes that make some other sacred structures look pompous. It occupies the site beautifully, with the curved wall at the corner giving way to symmetrical rows of arched windows on either side. And while some churches are basically a façade stuck on a box, Elwell thought about the whole structure, making sure that the rear of the building adheres to the same pattern of curved surfaces and strong verticals. another view from the parking lot, this time facing La Brea Ave.
Now here’s the bad news. This building will probably be gone in a year or so. Developers want to build a project called Horizon Hollywood, which will consist of 400 residential units with retail and restaurants on the ground floor. Some people think the renderings look pretty nice. Honestly, to me the project looks like another set of generic mixed-use towers. 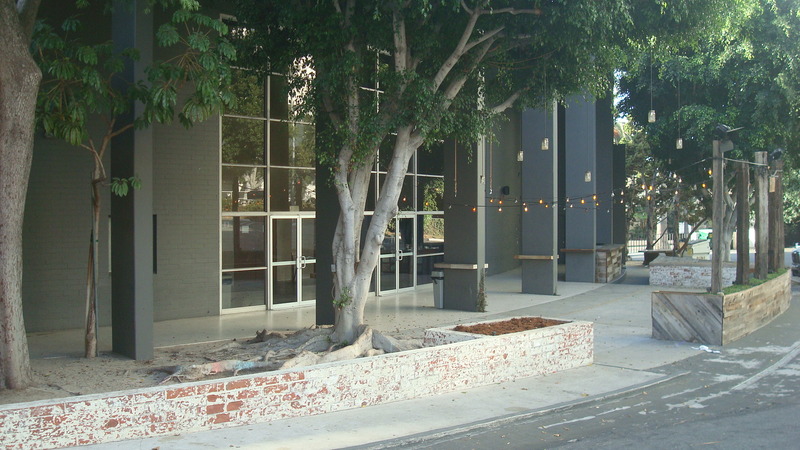 But here’s a link to a write-up at Building Los Angeles. You can judge for yourself. Personally I’d rather have the church. But I don’t think there’s much chance of saving it. 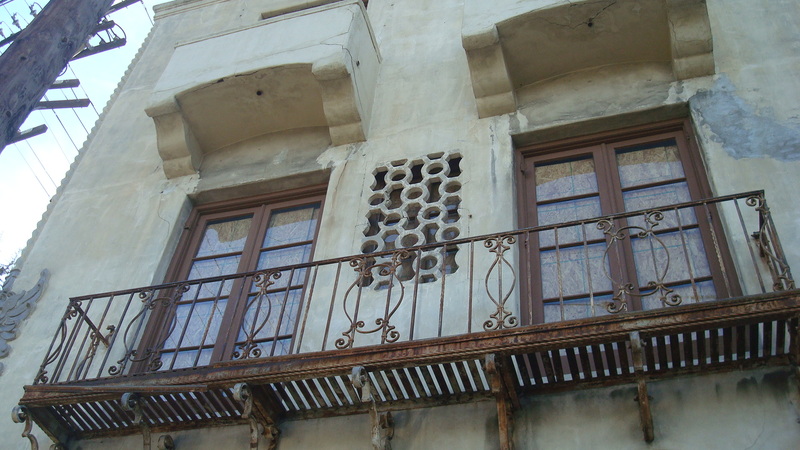 The building has not been designated as a historic landmark. And I don’t see any way it could be incorporated into the high-rise project. But they won’t start construction on the Horizon Hollywood for a while, so if you’re interested in architecture you might want to take a trip over there. 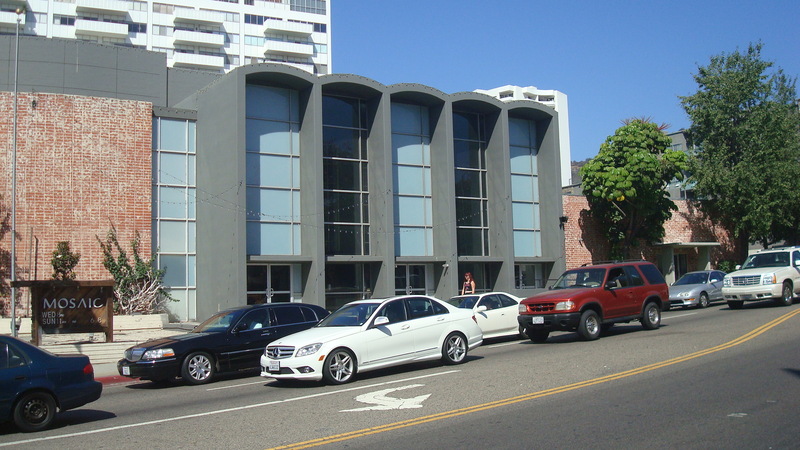 It’s a striking example of mid-century modern, and one of the few known buildings by Howard G. Elwell. The larger concern is that it seems like historic buildings are once again being threatened by the current development boom. 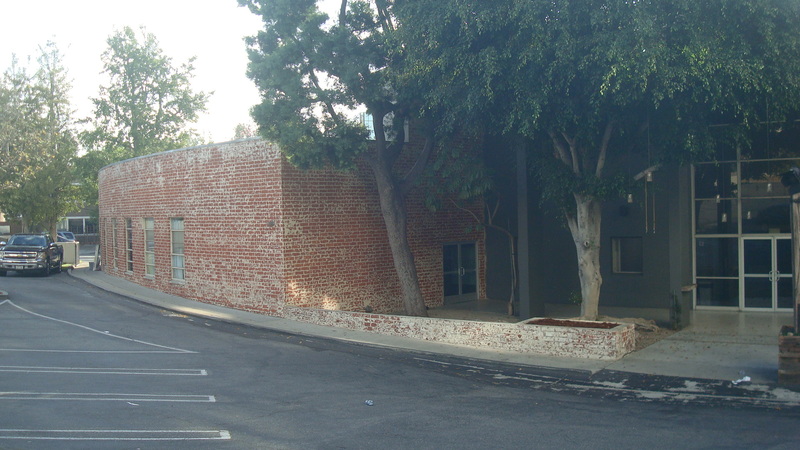 We’ve already lost the Morgan, Walls and Clements building on La Brea near Melrose. This one is probably a goner. And there’s talk of demolishing the Pacific Theatre on Hollywood Boulevard. 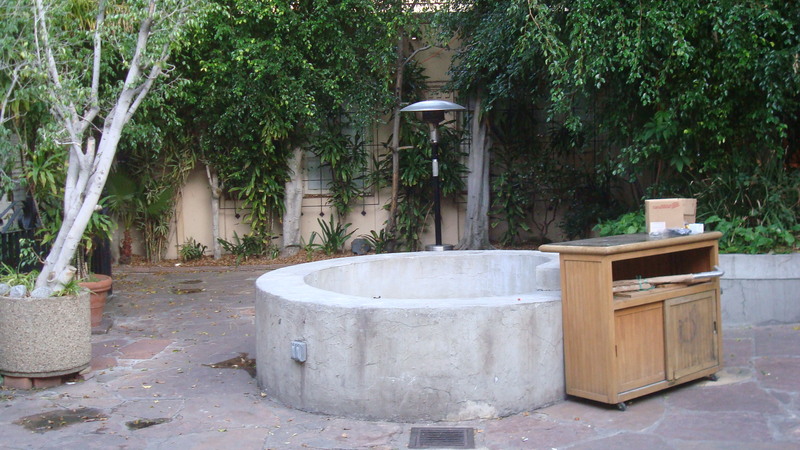 For a while it seemed like LA was getting better at preserving the past. But these days I get the feeling that money is more important than history. 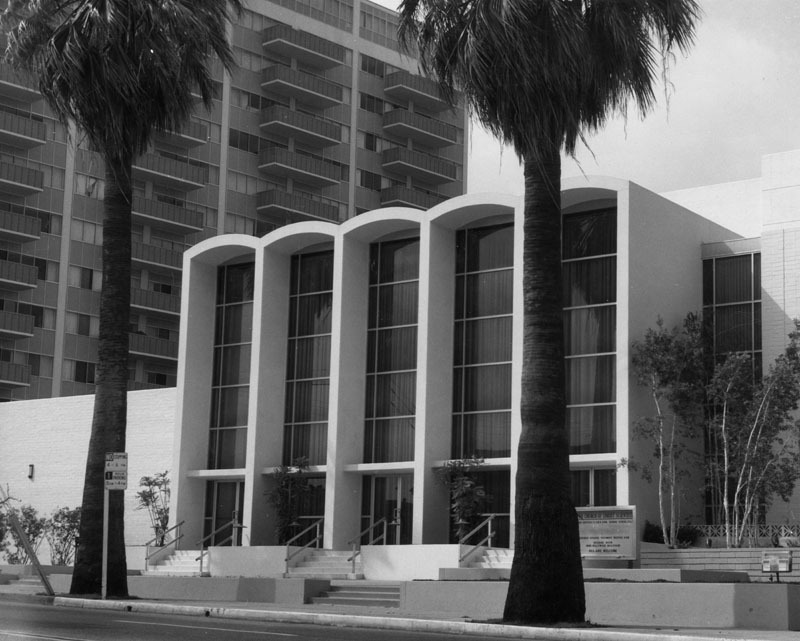 The two black and white photos above come from the Security Pacific National Bank Collection of the Los Angeles Public Library’s photo archive. No photographer is credited.